Sid is chairman of Feeding God’s Children. Along with his wife Shannon, he is one of the original founders and has been active in missions and outreach in the local church for many years. Sid has retired from the real estate construction business, and now is a full time Feeding God's Children volunteer. Shannon is President of Feeding God’s Children and, along with her husband is one of the original founders. She has also served in her local church for many years. After a career of owning and managing her businesses, she is also a full time Feeding God's Children volunteer. Stuart and his wife Leslie attend Cedar Springs Presbyterian Church and have two sons. They have been involved with many ministries over the past 25 years and continue to serve in different ways in our community. They have led the annual "Chicken and Rib Roast" for the past few years and have supported Feeding God's Children for many years. 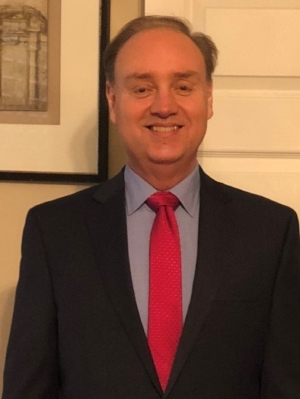 Stephen is an attorney in Knoxville, Tennessee and is the founder and Managing Member of Carpenter & Lewis PLLC, where his practice is concentrated in the areas of wills, trusts, tax law and small business transactional matters. Mr. Carpenter studied Business Management and Accounting at Asbury College (B.A. in liberal arts) and received his J.D. degree from the Marshall-Wythe School of Law of the College of William and Mary in Virginia. He also earned his LL.M. degree in taxation from William and Mary. Mr. Carpenter helps individuals and small business owners with estate planning and other legal needs. He has worked extensively with churches and other tax-exempt organizations. His firm takes a more client-oriented approach to practicing law and has an office in West Knoxville. He serves in his local church and is a member of the Board of Directors of several religious and civic organizations. Stephen is married and he enjoys hiking, music, and relaxing, preferably in sight of a lake or ocean. John and his wife Donna have been married for 30+ years and have 4 children. They have been active members at Two Rivers Church since 2004. John has been the COO/Executive Vice President of Edfinancial Services since 1993 when he moved to Knoxville from Harrisburg, PA. He is also the owner of Champion Daylilies. John is also an active member of the community. He served as a member of the Chancellors Board at UTK from 2009-2011, is a member of the United Way Tocqueville Society and is a volunteer/sponsor for Big Brothers, Big Sisters. When he has free time, John enjoys golfing, gardening, skiing and cooking with his family. Nathan and his wife Amy have been married for over 20 years and have 3 daughters. Both Nathan and Amy were born and raised in Indiana and relocated to Knoxville in 2006. They are members of Northstar Church. Nathan is a civil engineer who works as a Senior Project Manager for Garrett Construction a local General Contractor. The Kluemper family has a heart for working with children and helping others in need. Melissa Harvey has lived in Tennessee all of her life and is married to Don Harvey. They are blessed to have two children, a daughter, Danielle and a son, Kolby. Melissa serves NorthStar Church as the Pre-School Director along with her family. Melissa has a passion to teach children from a young age about Jesus and the need for them to love others, to feel loved and to serve Him with all their hearts. She believes that children are the future hope for the kingdom, to take what they learn and be a strong witness to their family and peers. The entire Harvey family has fallen in love with the children in the Appalachia schools and they count it pure joy to serve them through Feeding God’s Children. For rest and relaxation they enjoy spending time on the lake and taking long mountain drives. Susanne and her family have been in Knoxville since 2008, arriving by way of San Diego but originating from VA. Susanne and her husband Lance have been married 25 years and have spent the majority of that time active in their own ministry as well as various others. Susanne was instated as the first Executive Director of Feeding God's Children January of 2018. The Huff family loves serving together as part of this ministry, both locally and in Kentucky and are very excited to expand their reach to the Guatemala aspect in the near future. Bobbie relocated to Knoxville in 2004 to join Edfinancial Services and served as a Vice President within the Operations team until retiring in 2018. Since retiring from the corporate world, Bobbie stays busy serving the city of Knoxville by volunteering with The Restoration House, Lost Sheep, Caris and Feeding God’s Children. She is also a reading volunteer with Beaumont Elementary School. Bobbie attends Northstar Church and serves within the children’s ministry. She is also actively involved in her women’s Life Group and Discipleship Group. She is passionate about ministering to others through friendship, laughter, and helping to restore hope by sharing God’s love as part of the Feeding God’s Children ministry in Tennessee, Kentucky and Guatemala. In her downtime, Bobbie enjoys reading, road trips with friends, and outdoor activities. But she finds the most joy when she is spending time with her family. Bobbie has three children- Jessica, Caleb, and Hanna and five grandchildren. 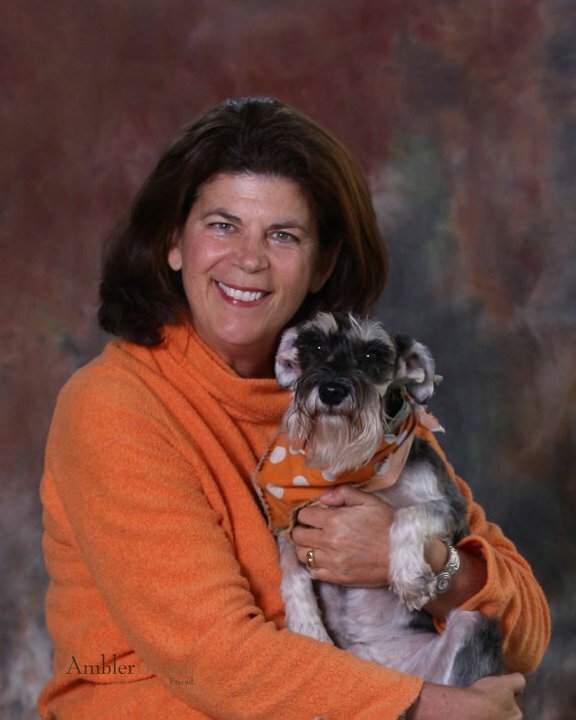 Carolyn landed in Knoxville in 1991 after migrating up and down the East coast from her Virginia roots in a career in recreation management. Her love for teaching earned her a B.S. in Education from the University of Virginia and Master in English as a Second Language from the University of Tennessee. Active in sports all her life, she has a keen passion for teaching tennis. A faithful advocate of Compassion International and her sponsored child for many years, Carolyn also loves her time with Knoxville Christian Arts Ministries (KnoxCAM) whose mission integrates music, drama, and dance through concerts proclaiming the Good News in prisons, inner city ministries, and any venue where God leads. Being part of Feeding God's Children is a wonderful way to serve in a mission close to her heart.